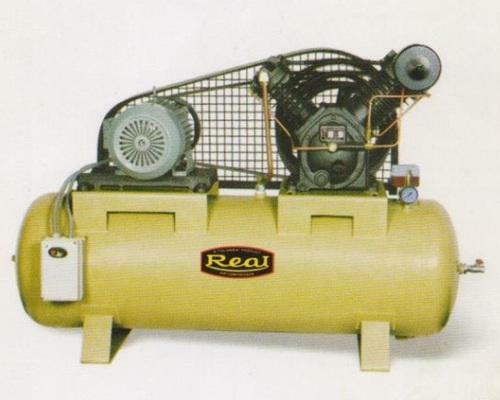 Since 1981, we have been able to establish ourselves as a trusted name engaged in manufacturing, trading and exporting of a quality range of Air Compressor, Screw Air Compressor, Single Stage Compressor, Two Stage Compressor, High Pressure Compressor, Dry Vacuum Pump and Air Compressor Spare Parts.. The range of our products includes Single & Two Stage Dry Vacuum Pumps, Stage High Pressure Compressors, Two Stage Compressor and Single Stage Compressor. Moreover, we offer Air Receiver, Air Dryer, Auto Drain Valve and After Cooler. These products are manufactured by a team of experts, using quality raw material and latest technology & machinery. The raw material, which we use in manufacturing process is sourced from some of the trusted market vendors. Our range of products is highly demanded by the clients for its efficient functioning, reliability, exceptional endurance and sturdy construction. We make sure to offer the products as per the exact requirements of the esteemed customers. Moreover, we ensure that the products offered by us are made in compliance with the international quality standards. The team of our quality auditors checks the products on various parameters to ensure flawlessness. Besides, for the convenience of the clients, we have introduced different modes of payment like cash, cheque and DD.